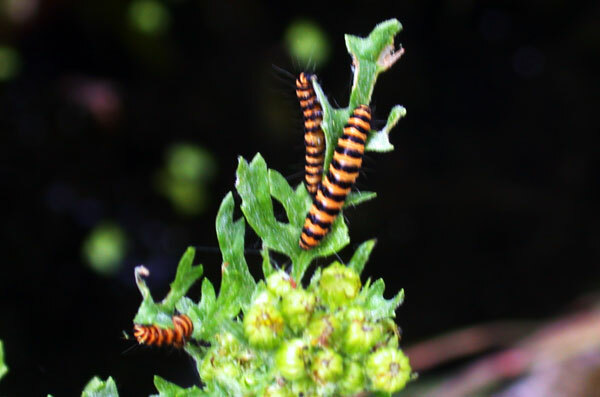 Caterpillars of the cinnabar moth feeding on a weed by our pond. Admin2 is reading A Station on the Path to Somewhere Better by Benjamin Wood: a lad and his mad bad dad set off for Leeds and nothing is ever the same again. Gripping and gut-churning; quite different from his other two books but just as good. Print article This entry was posted by admin2 on July 12, 2018 at 10:15 pm, and is filed under wildlife. Follow any responses to this post through RSS 2.0. Both comments and pings are currently closed.